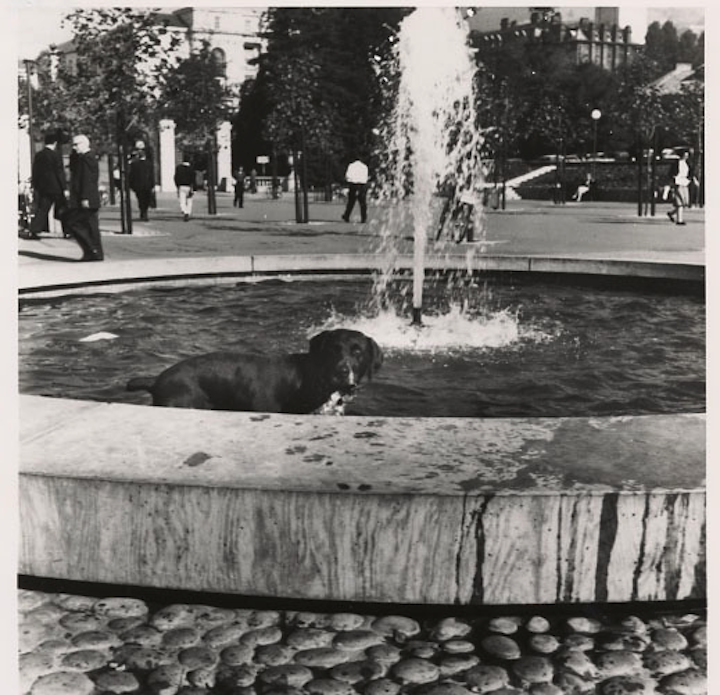 Not animals as in breathing, living organisms, but as in artistic depictions of animals as public art. For some reason, we seem to have a special place in our quirky hearts (thanks Holy Hubert for that allusion to our “dirty hearts”) for big chickens. One or two I would expect, but there are lots. And here they are. 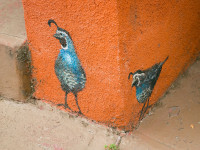 Like the characters in Portlandia, we see something and decide it would be better with a bird on it. 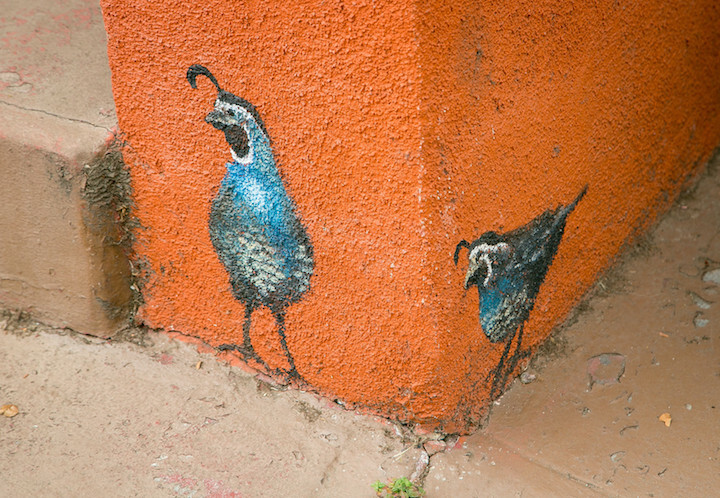 The painted birds of Berkeley know no geographic bounds. They exist in all parts. 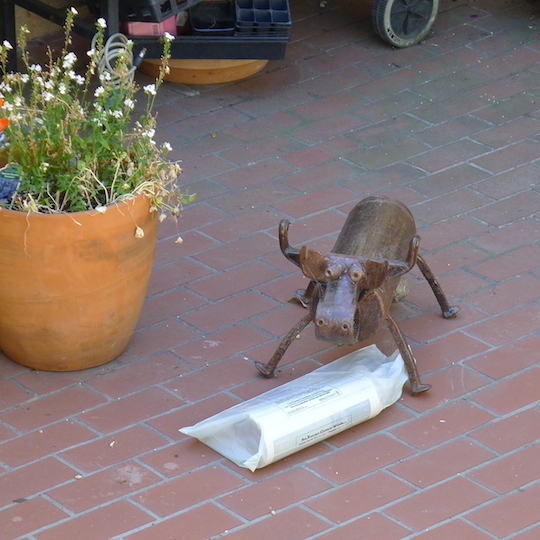 We rock our quirk in Berkeley with mail boxes. 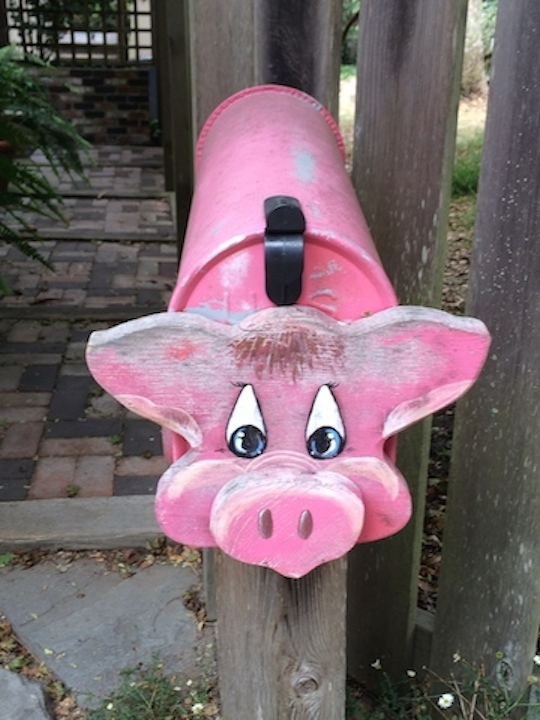 Including mail boxes in the shape of animals – fish, fowl, reptile, and mammal. 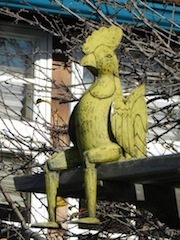 The Patrick Amiot sculptures of a wolf, a dog, and a chicken on Vassar complete a major quirky venue. They are really something. 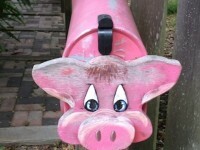 As George Harrison sang, have you seen the little piggies? 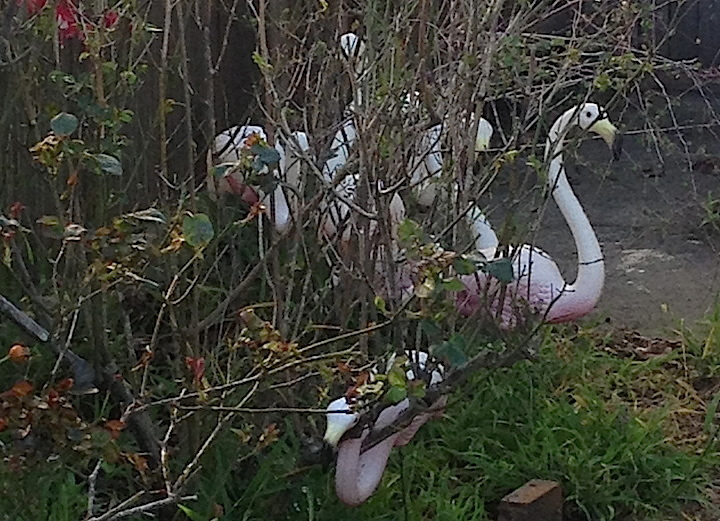 Lots of them in the yard at 1735 McGee. 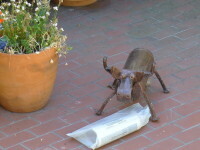 Eni Green has been collecting dachshunds and dachshunds art for years. Fifteen years ago she ventured into large-scale stuff, as in Doggie Diner heads etc. She adds when she finds. I have never seen a bear in the wild. 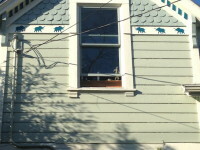 I have, however, seen quite a few artistic depictions of bears in Berkeley. Here they are. 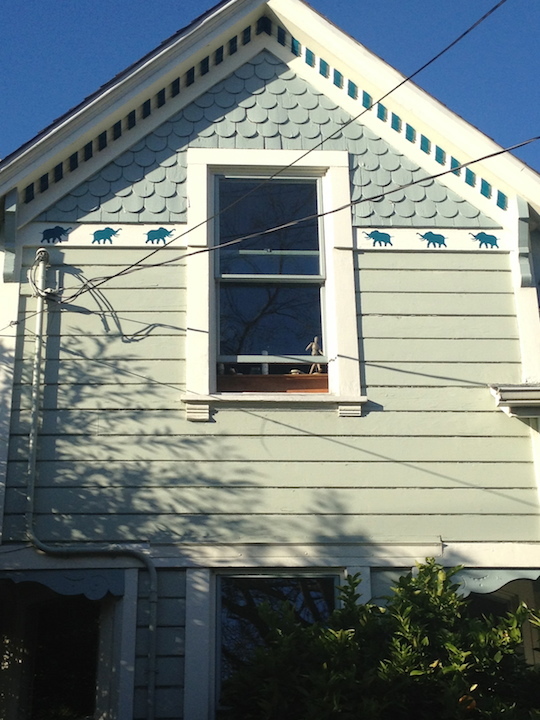 Deer, foxes, moose, owls, rabbits and raccoons – artistic renderings thereof in Berkeley front yards. And a big dose of digressions about the woods. We have no giant dinosaurs in Berkeley, but we have a respectable dose of medium and small dinosaurs. We love us our dogs and cats art. 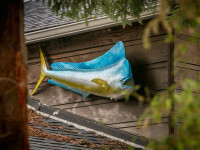 Big and little, signs and sculpture, realistic and abstract. We sang “Puff the Magic Dragon.” We believe in dragons. They are mostly on the friendly side. All around the town. Seven families of Gekkota contain numerous genera of gecko species. There are about 1,500 species of geckos. 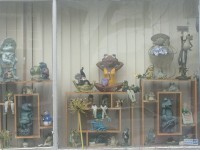 There are not that many geckos-as-quirky-art in Berkeley, but there are a good number of them. Bonus feature: the background on Emily and Delilah’s “great story / tell it again” and a great story about geckos. Granted, some of these lions are kitschy. Okay, maybe most of them are. But so what? 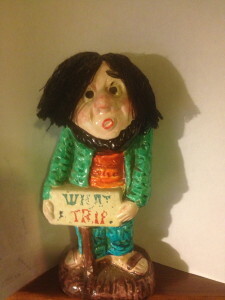 Kitschy is quirky, especially in a haute culture place such as Berkeley. Lots of lions. In reverse alphabetical order – zebra’s first, elephants last. All beasts of the jungle. Lions appear elsewhere. 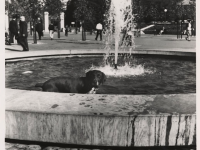 In Sproul Plaza there is a fountain that the Regents named after a German Shorthair Pointer who spent his days between 1959 and 1965 the fountain. The Regents as quirky – what an idea! I draw no conclusions about this collection of photos of mermaids, fish, whales, octopi, lobsters, sea horses, and seals from our yards and houses. Just a lot of creatures of the sea. I got fancy on the turtle/tortoise and crocodile/alligator distinctions. I didn’t have many photos so stalled. But we want quality quirk, not quantity. And these are quality. 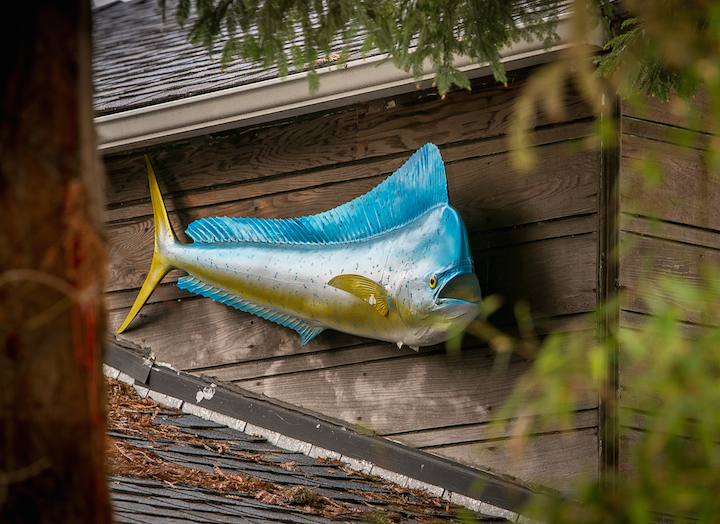 Mailboxes, weathervanes, and lawn art. Cows and pigs. Pretty much says it all. 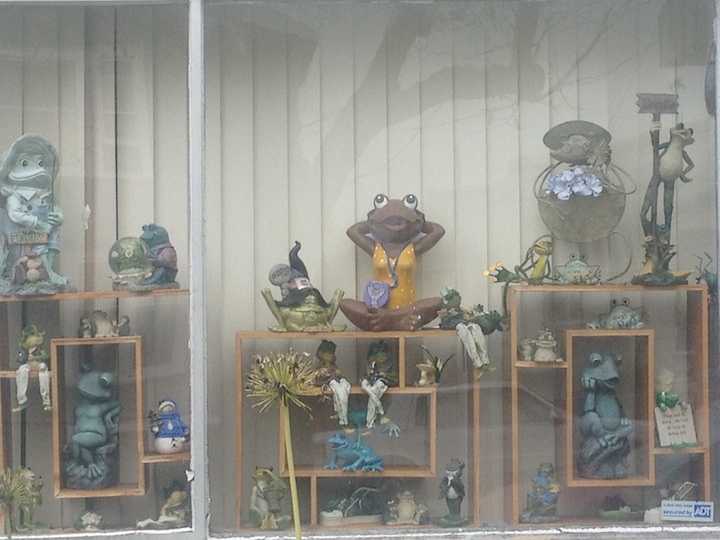 In the Old Testament, frogs rain from the sky. 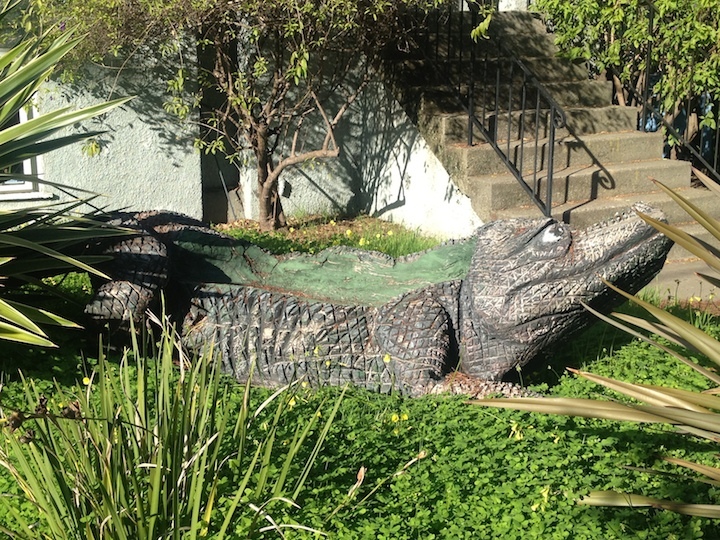 In Berkeley, they grace our front yards and gardens. 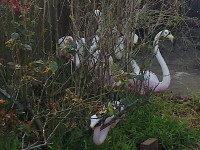 The iconic lawn statue of a pink flamingo is used almost entirely ironically in Berkeley. Here are a bunch. Iconic! Stop and park. Find the birds. 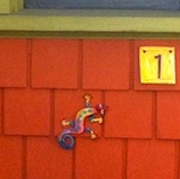 It is a bright orange stucco house so it should be easier. There are more than you think.